Terrible Yellow Eyes: "BE STILL!" 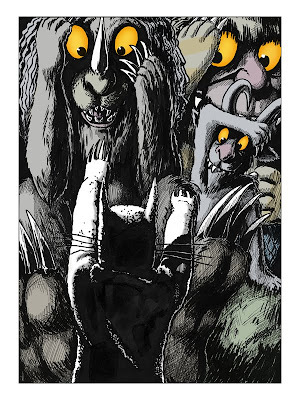 Got to love Jason Chalker's interpretation of the moment Max tames the Wild Things. I especially love the Goat thing. Visit Jason over at his site.